Like I mentioned yesterday, the view to begin Thursday morning was awesome. The first goal for Thursday:­­ walk the presidential trail at Mt. Rushmore and get as close as possible to the colossal faces of Washington, Jefferson, Roosevelt, and Lincoln. Mission accomplished! Did you know that Washington’s stone-carved nose is 21-ft long? The other three presidential proboscises are a foot shorter...just in case you were wondering. What Gutzon Borglum and his workers blasted and carved into the granite face of Mt. Rushmore most certainly displays the power of vision and determination. Beautiful forests and lake-side scenes rounded out the rest of our drive through Black Hills National Forest. 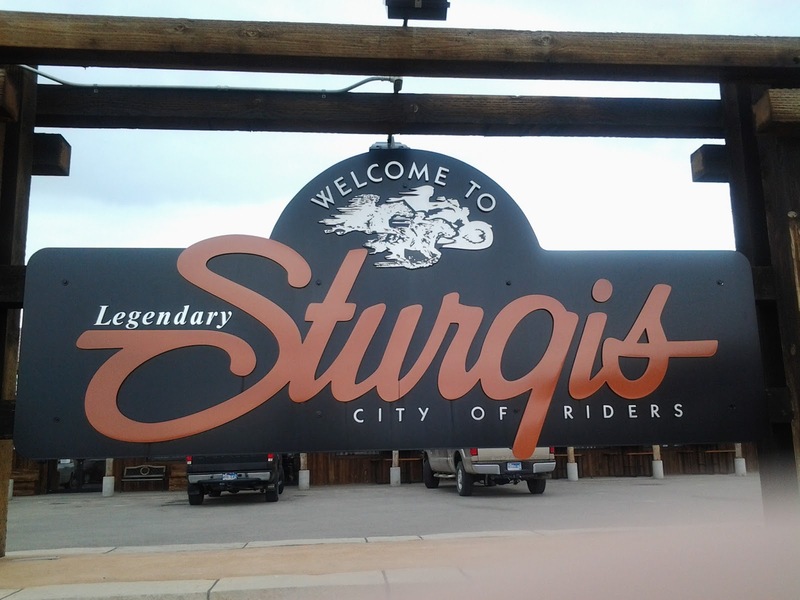 Places like Deadwood (and more trivia) now take a place in my memory’s data bank. 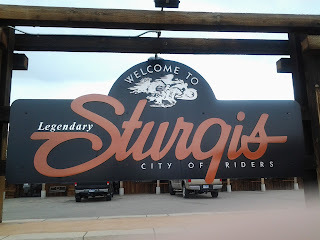 A quick drive through Sturgis SD, and we were back on I-90 heading to the high plains of Wyoming. The rain started as we drove into Wyoming and that just added to the sense of desolation as we drove. Talk about un-populated areas! At times I found myself thinking of science-fiction movies depicting an abandoned planet. 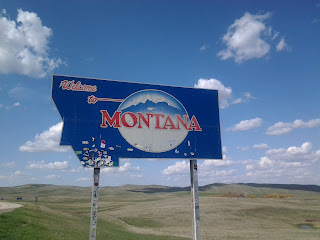 We finally made it to Montana, driving into Crow territory. Beautiful hills where the deer still roam. Instead of buffalo, however, we saw cattle. Once we reached Billings MT another hot tub was waiting to sooth our tired bodies. Friday will be our final travel day to Missoula MT.